I hate cleaning my make up brushes, it is such a chore however an important routine that needs to be done. 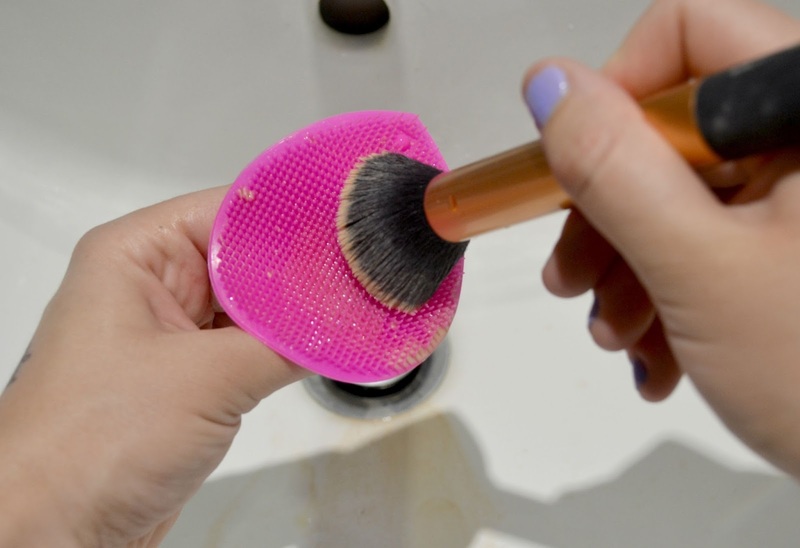 If you don't clean your brushes, they pick up bacteria and each day this festers in the bristles of the brush and you ultimately end up smearing the bacteria across your face. Unless you want to be using dirty bacteria filled brushes every day, then it is a task that must be completed every so often. 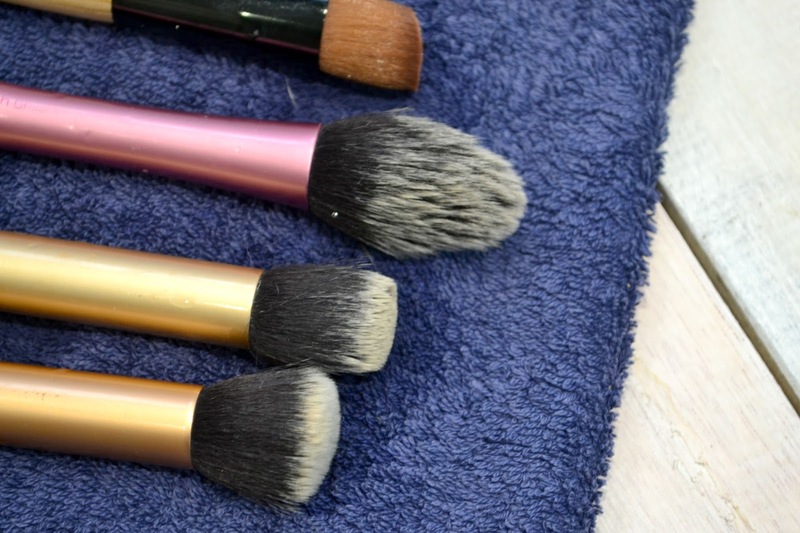 It is important to give your brushes a deep clean now and again to rid this bacteria. It can do your skin the world of good. I usually clean my brushes every 2 weeks minimum, if for some reason I can't wash them in this time frame, I definitely start to notice my skin start breaking out. 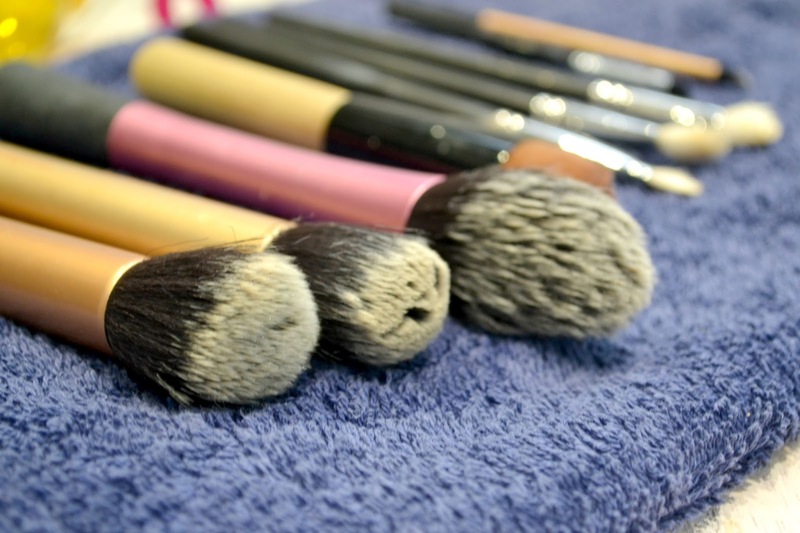 Firstly, I lay all of my brushes out ready to be cleaned, and get a towel ready to lay them on after they have been washed. I then dampen them with slightly warm water. I then use this face exfoliator pad that I picked up in Primark for around £1.50. I used to clean my brushes on the palm of my hand but I hated how wrinkly my hands used to get and this little tool has helped me no end. 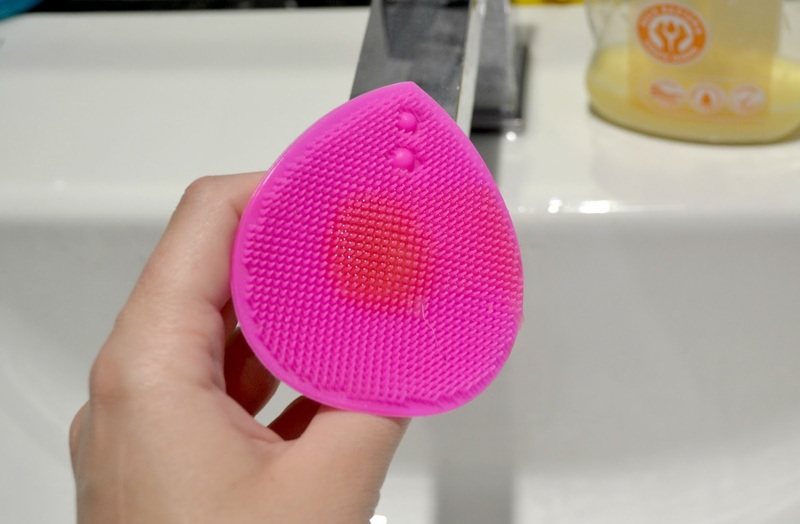 The great thing is this little silicone pad can suction to your sink so you don't even need to get your hands wet. You can hold it if that makes it easier. 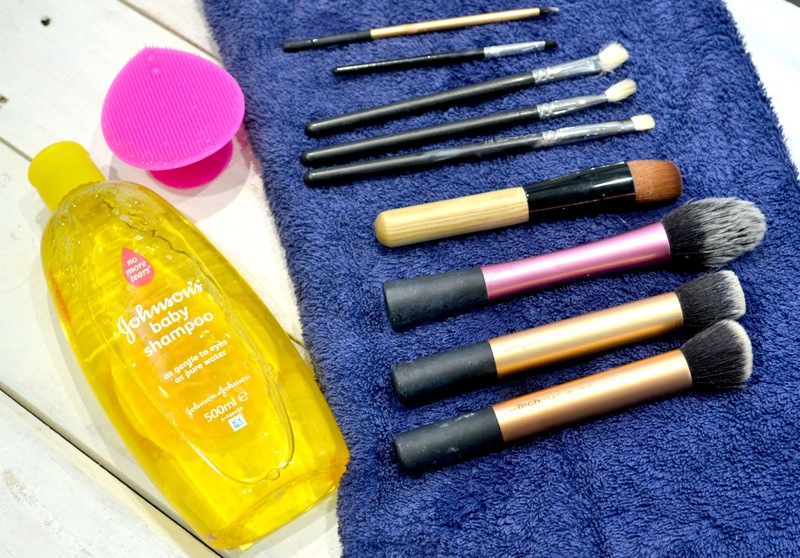 I pop a small amount of Johnson's Baby Shampoo onto the pad and swirl the brush across the rubber bristles. 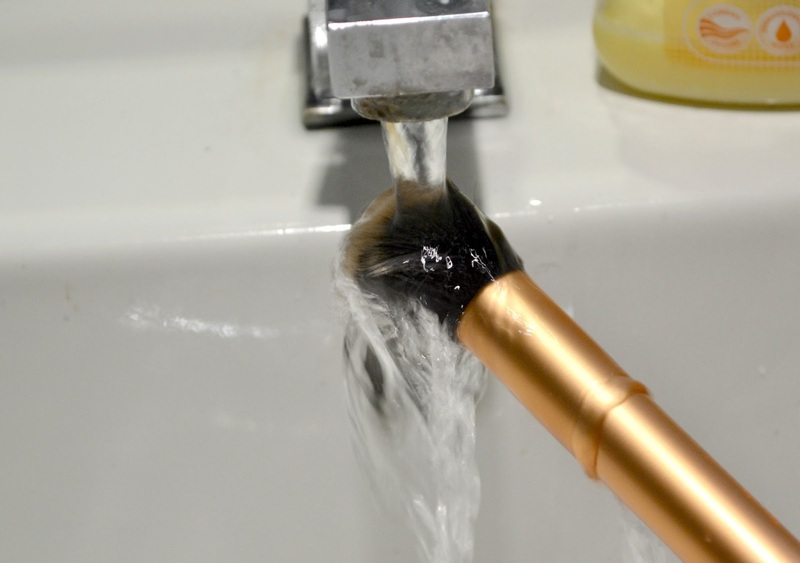 I then rinse the brush once more in water and repeat this step until the water rinses clean. 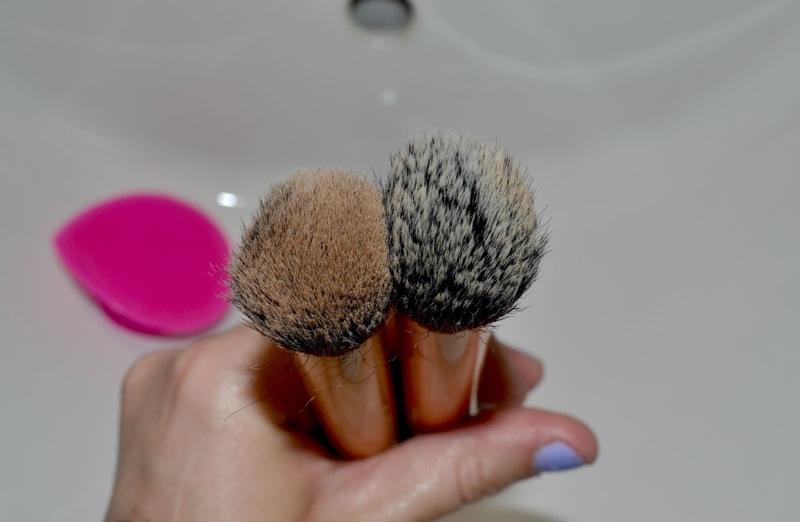 You can really see the difference between a clean brush and a dirty one! I then squeeze out any excess water, and leave to dry flat overnight on a towel. 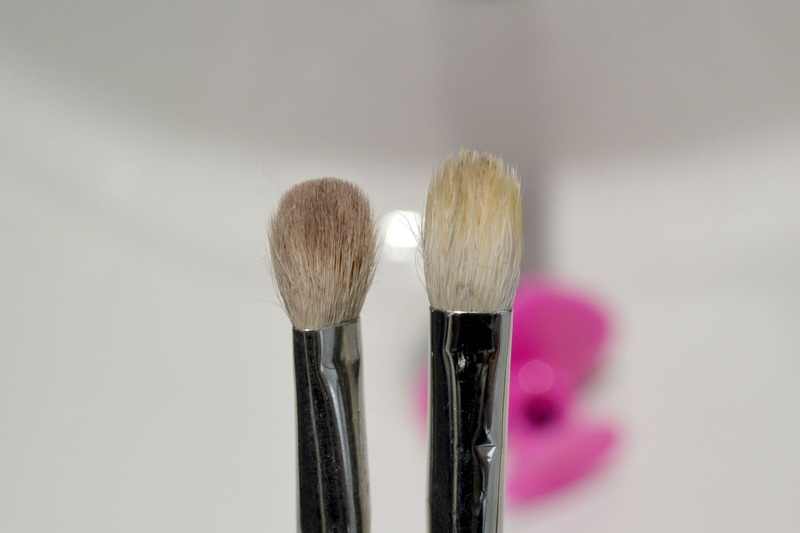 It is important to dry these flat because if you stand them upright in a brush holder, some water can trickle down and loosen the glue that holds the brush fibers into place. When dried naturally, they keep their shape. This is such a quick task and one that definitely needs fitting into your routine. Make up brushes are expensive, so it's important to take care of them. I hope this post has helped.